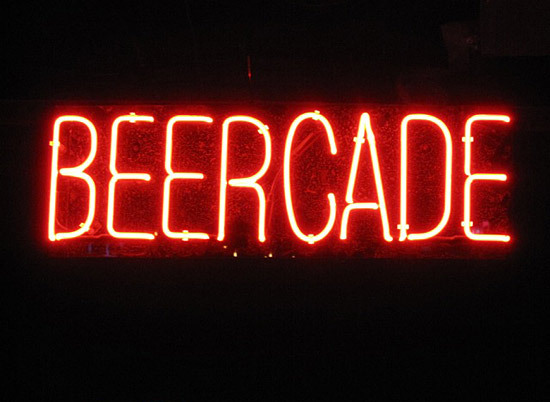 Headquarters Beercade, at the corner of Sheffield and Wolfram in the Lake View neighborhood of Chicago, just opened a new 6,000 square foot pinball arcade addition to their 2,000 square foot video game bar. It was always a shame that the area in which almost all pinball machines were - and still are - made had nowhere to play a large collection of pins. 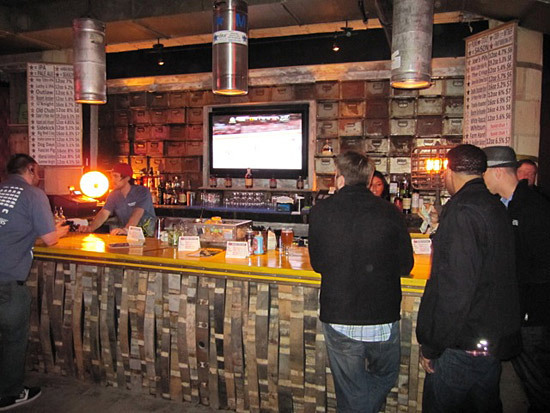 That has changed in a big way with the opening of Headquarters pinball building expansion. 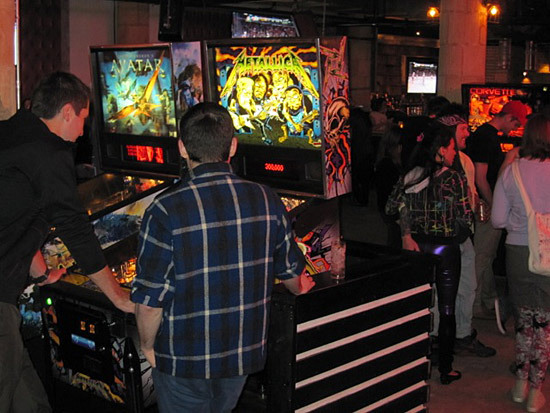 Seventeen pinball machines are available to play right now, with many more coming soon. 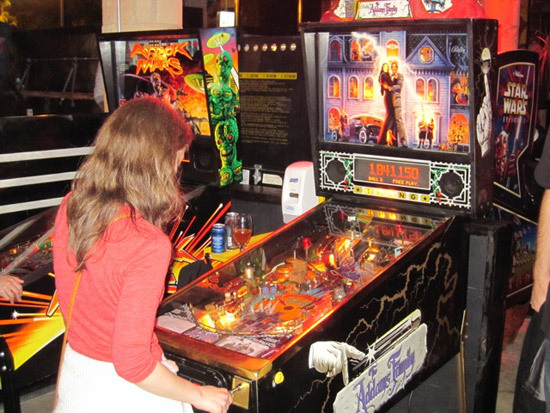 The pinball titles pretty much consist of half recent Stern pins, and half '90s Bally and Williams pins. There is no cover charge to enter Headquarters, and all the games are on free play. 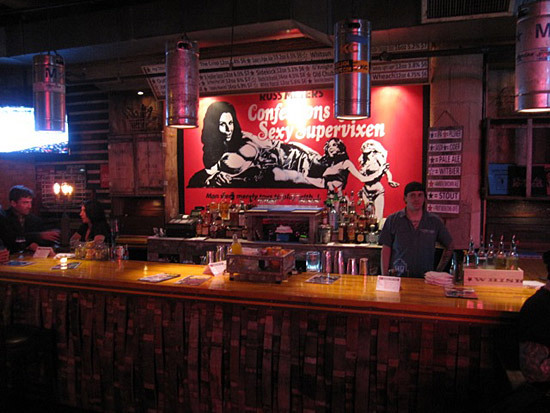 The pinball room is very spacious and features three bars which exclusively serve micro-brew drinks. 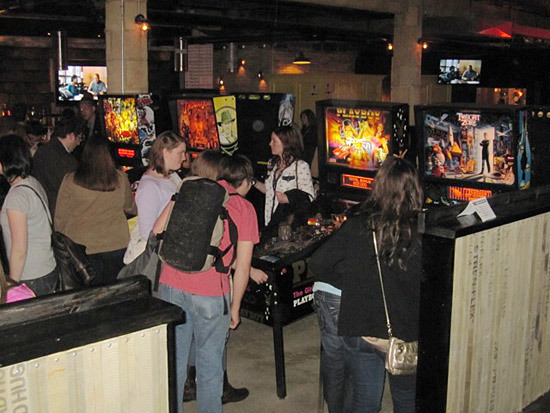 The new pinball room connects to the existing video game bar, so you can play all their video games too. 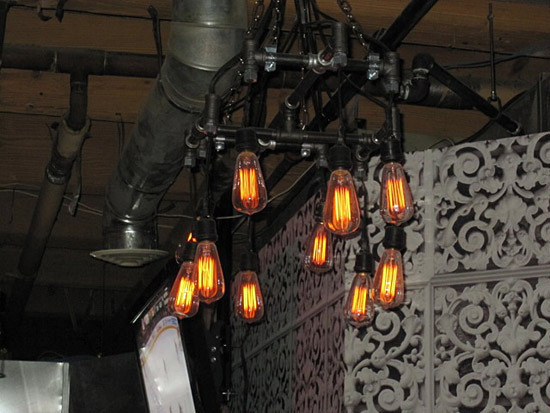 The interior decor of the building is both unique and interesting. I played about 12 of the 17 pins there and they all looked good and played well, while the extensive staff was extremely friendly. 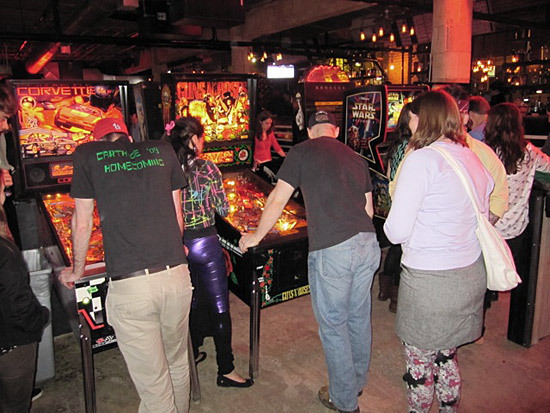 The location was pretty crowded when I went on the Saturday night of the pinball building's opening weekend. The patrons there were mostly in their early to mid 20s, which is partly due to De Paul University being close by. One tip I would like to pass along; parking near Headquarters is horrible. 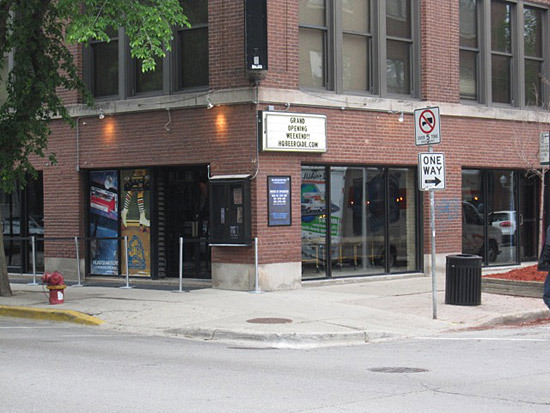 Parking downtown and taking the Brown Line CTA elevated train to Headquarters might be a better plan than driving around Headquarters looking for a parking space. The Brown Line stops at the Diversey station, which is only a block away from Headquarters. 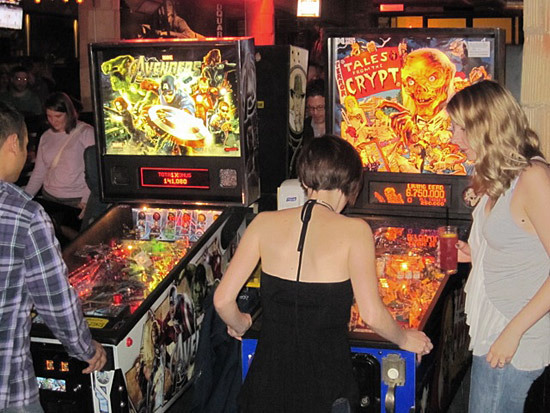 I hope the risk of opening a large pinball bar pays off for Headquarters, as it is great to have such an awesome pinball destination right here in Chicago.